It’s the most wonderful time of the year and during this time of family gatherings, vacations and holiday decorations there are a couple things you can do to avoid hazards, fires and injuries. 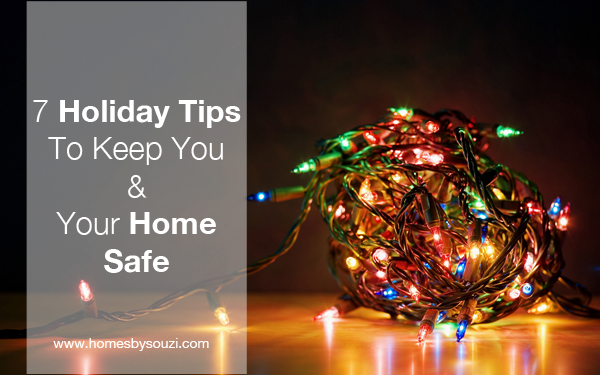 With so much going on, checking off a couple home safety items will go a long way and you can focus on enjoying the holiday fun. Below we’ve listed 7 helpful hints to keep you, your family and your home safe. 1- Keep windows, garages and sheds locked, and don’t forget to use deadbolts. 3- Maintain at least a foot of space between a burning candle and anything that can catch fire. 4- When hanging lights outdoors, avoid using staples or nails which can damage wiring. Use UL-rated clips or wires instead. 5- Don’t overload electrical circuits with holiday lighting; unplug your tree and outdoor lights before going to bed. 6- Don’t leave a spare key in a “hiding place.” Burglars know where to look. 7- Lock your power box with an electricity authority lock (lock to which you and the electric company have a key) so that your home security alarm system can’t be cut off from the power supply.